Like many people, you may be fortunate enough to make it through your working years with employer sponsored or privately purchased health insurance coverage. Consequently, you may know very little about the Medicaid program, a government program that provides healthcare coverage to low income individuals and families. There is a good chance, however, that you will eventually turn to Medicaid for help covering the high costs of nursing home care during your retirement years, either for yourself or for a spouse. Locating reliable information regarding New York Medicaid’s eligibility guidelines and application procedures can be challenging under the best of circumstances. With that in mind, our office has put together some basic information and resources to help you better understand New York Medicaid’s eligibility guidelines and application process. Medicaid is a government program that provides low income individuals and families with medical services and healthcare. Medicaid is primarily funded by the United States federal government; however, the individual states may supplement the federal funding. Because Medicaid is administered by the individual states the eligibility requirements and benefits offered may vary somewhat from one state to another. What Does Medicaid in New York Cover? What Is a Medicaid Managed Care Plan? A Medicaid managed care plan offers participants the opportunity to choose a health plan and work with doctors and healthcare works within the plan. Managed care plans focus on preventative care in an effort to keep participants healthy year around. In some counties participation in a managed care plan is optional; however, in other counties you will be required to join a managed care plan. More information about Medicaid’s managed care plans is available on the Department of Health Managed Care website. Medicaid is a “needs based” program, which means that there are income and asset limits that apply when determining eligibility. To be approved, an applicant’s monthly income cannot exceed the program limits nor can the value of the applicant’s assets exceed the “countable resources” limit. Income limits are directly tied to the Federal Poverty Level which changes each year. In addition, the income and resource limits may vary depending on the category under which you apply for benefits. Income and resource limits for 2016 can be found here. Note, however, that you could still be eligible even if your income exceeds the stated limit if you have high medical bills. Nationwide, Medicaid helps about half of all seniors cover nursing home costs because most seniors cannot afford the high cost of long-term care without help. Qualifying for Medicaid as a senior, however, can be problematic if you did not plan ahead because Medicaid uses a “look-back” period when evaluating your resources. More information about the look-back period and what resources are counted can be found here. Am I Eligible for Medicaid in New York? There are a few basic eligibility criteria that apply to everyone applying for Medicaid, including things such as you must be a resident of the State of New York and be a U.S. national, citizen, or have a satisfactory and legal status with U.S. immigration. Beyond the basics, given all of the various Medicaid eligibility rules, and exceptions to those rules, it is not surprising that many people are unable to determine if they will qualify even after going over the eligibility guidelines. Fortunately, you have the ability to “pre-screen” for benefits. Although not a guarantee that you will qualify for benefits, using the pre-screening tool will give you a good idea of you qualify. There are several different ways in which you may apply for Medicaid. You may apply online through the New York State “NY State of Health” website. You may also apply with the assistance of a “Navigator or a Certified Application Counselor.” These are individuals who have received specialized training regarding Medicaid and the Medicaid application process. If you wish to apply at a local office, you may find the office closest to you by searching the appropriate page on the New York State Department of Health website. If you do not have access to a computer, or you have questions about your application, you may call the official Health Plan marketplace at (855)355-5777 or by calling the Medicaid helpline at (800)541-2831. If you live in New York City and you are over the age of 65, you must apply for Medicaid through the New York Human Resources Administration. Because of the resource limits imposed on applicants for Medicaid, your hard-earned assets could be at risk if you do not plan ahead for the very real possibility that you will need to qualify for Medicaid during your retirement years. Medicaid planning uses legal strategies and tools to help protect your assets and ensure that you will qualify for Medicaid if the time comes that you need benefits to help cover the high cost of nursing home care. 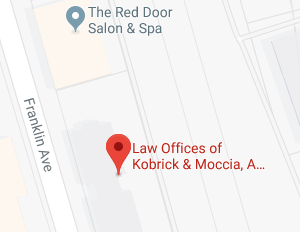 If you have additional questions or concerns regarding eligibility for Medicaid in New York or the application process for New York Medicaid, contact the experienced New York Medicaid planning attorneys at The Law Offices of Kobrick & Moccia by calling 800-295-1917 to schedule your appointment.